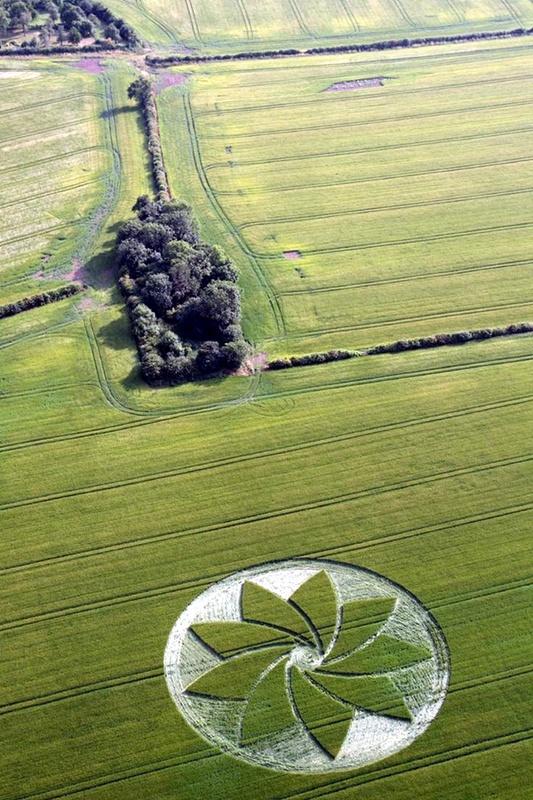 Have you ever seen a crop circle in your life? 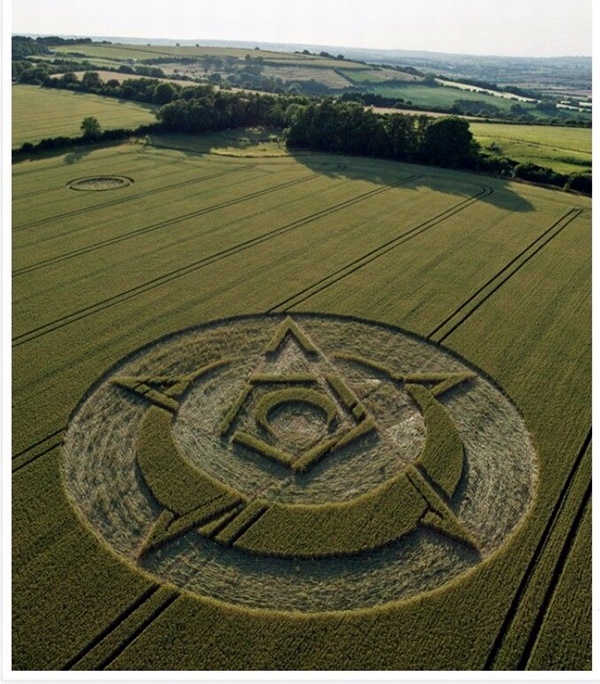 Not in movies, but in reality. 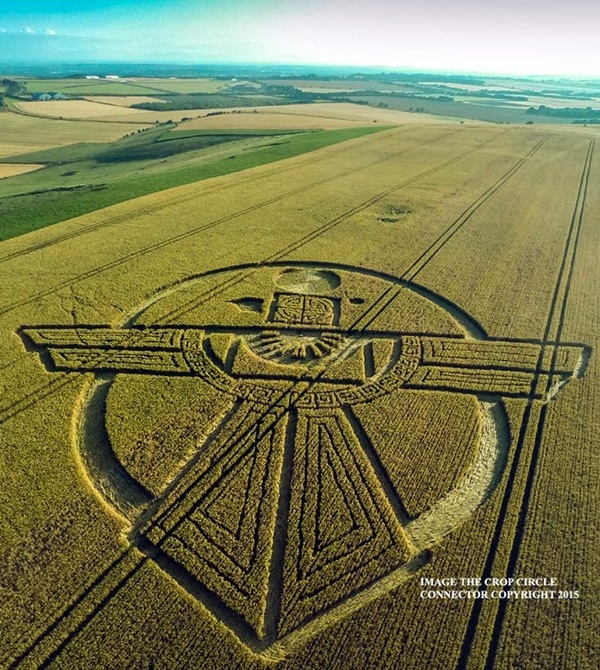 While some people believe that crop circles are a sign of aliens leaving their mark on earth, others believe that crop circles are nothing but an elaborate prank by some artists who are craving for the publicity that this will bring them. 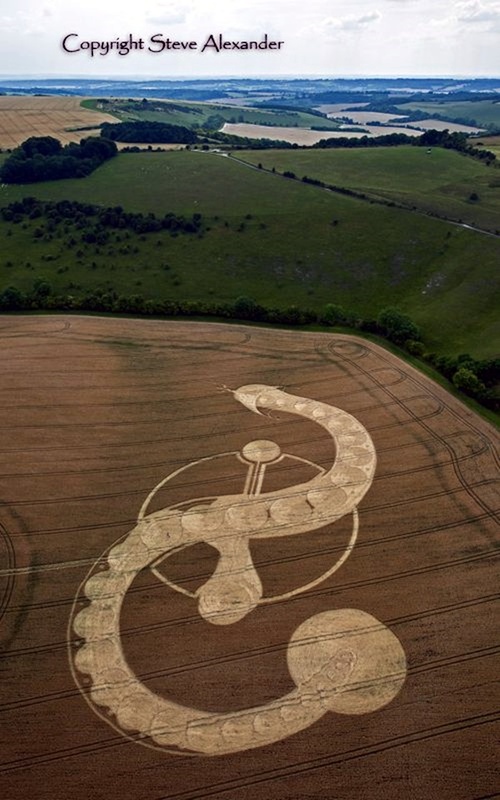 No matter what angle you approach the crop circles, you have to admit that it will make you curious and fascinated. 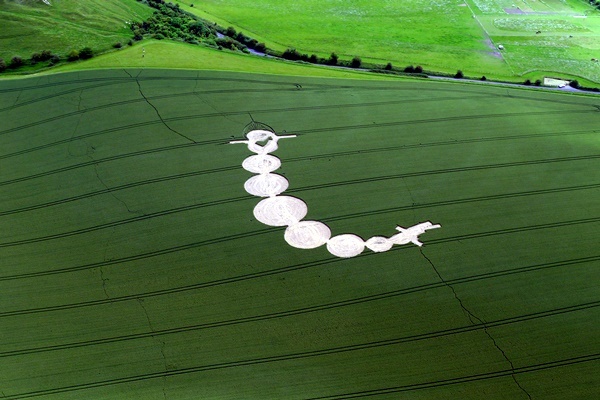 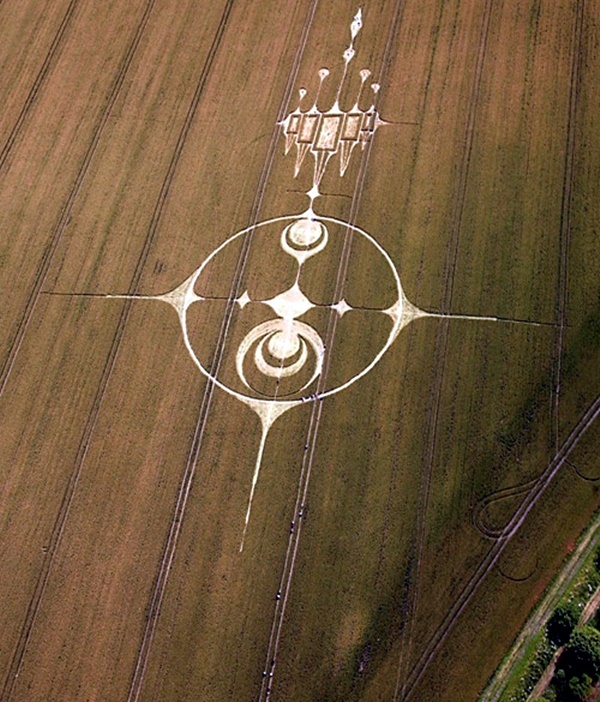 One always wonders how the artist (human or alien) managed to pull of making such a huge artwork in the middle of a field and what kind of equipment they used. 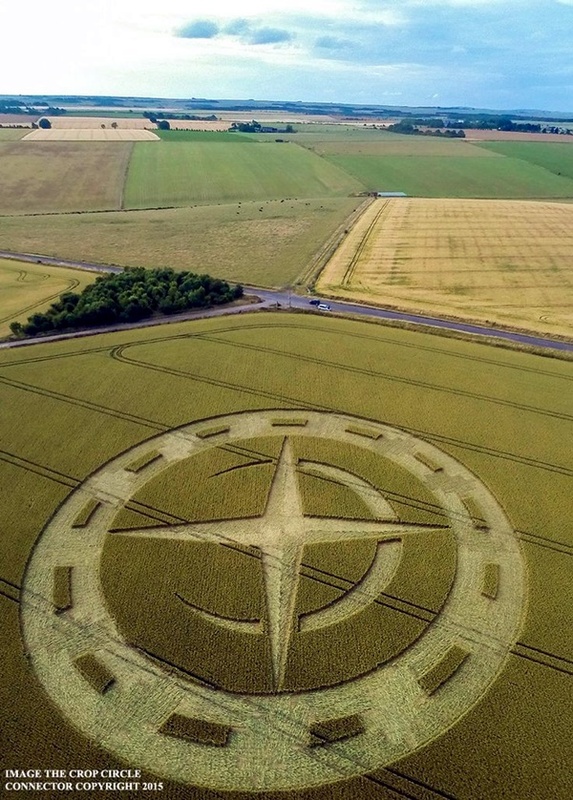 It is like looking at the perfectly imperfect sculptures of Bruno Catalano and spending a lot of time wondering why and how they came up with such a concept. 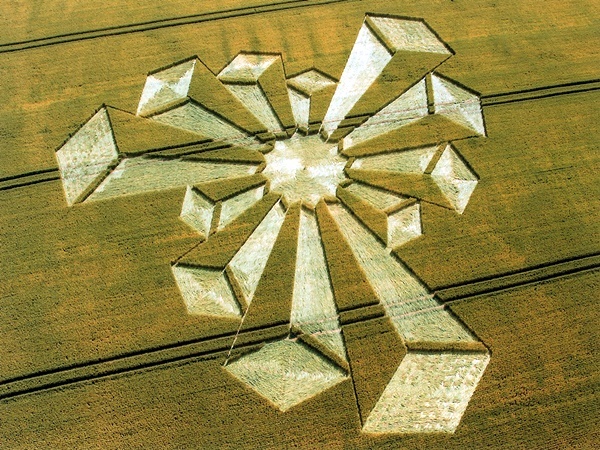 If you look at the world from an artist’s point of view, there is no doubt that you will find much to inspire you. 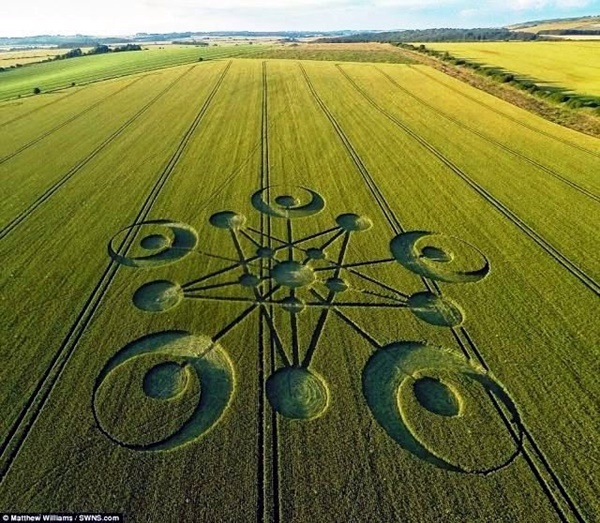 It could be something like the most famous sculptures around the globe or even something that has occurred as a natural event without human interference. 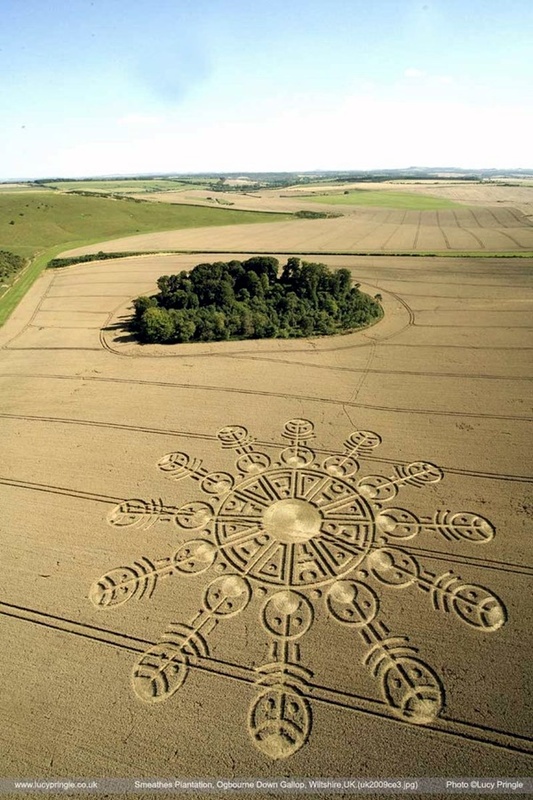 If at all you feel that emulating crop circles is not easy, then you can always look at the efforts put in by artists into stunning examples of sand sculptures to see that anything is possible with some thinking, a lot of talent and loads of effort. 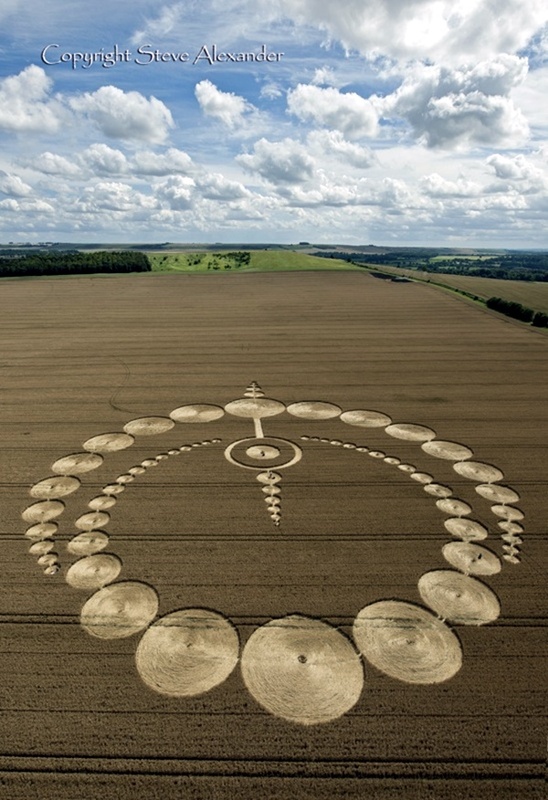 When it comes to the often fascinating and eerie effect that crop circles have on us when we look at them, we cannot fathom why they were made in the first place. 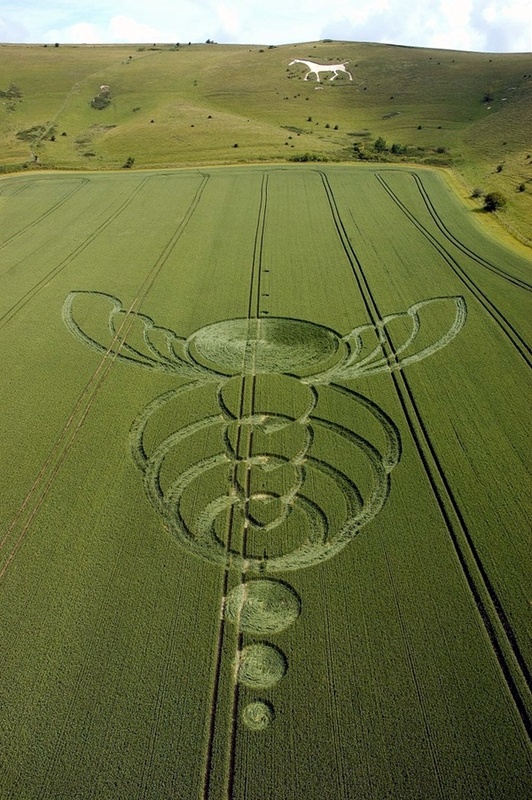 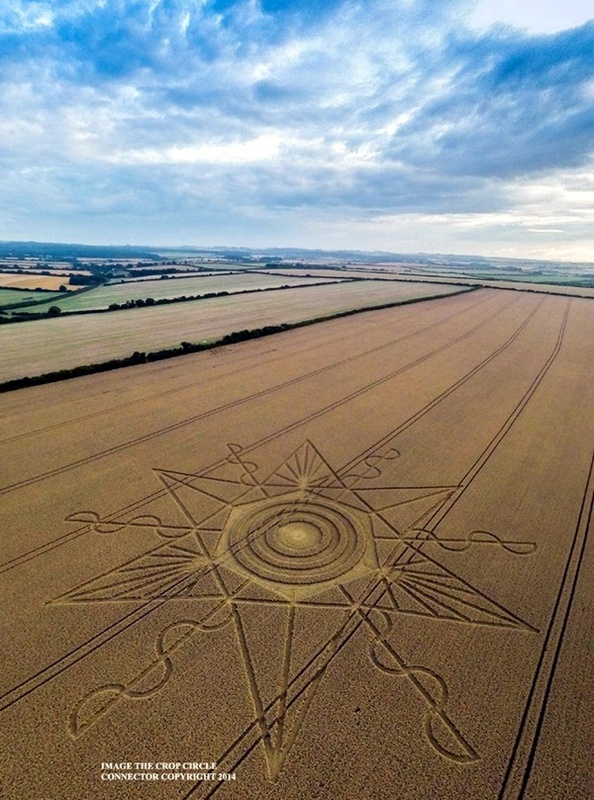 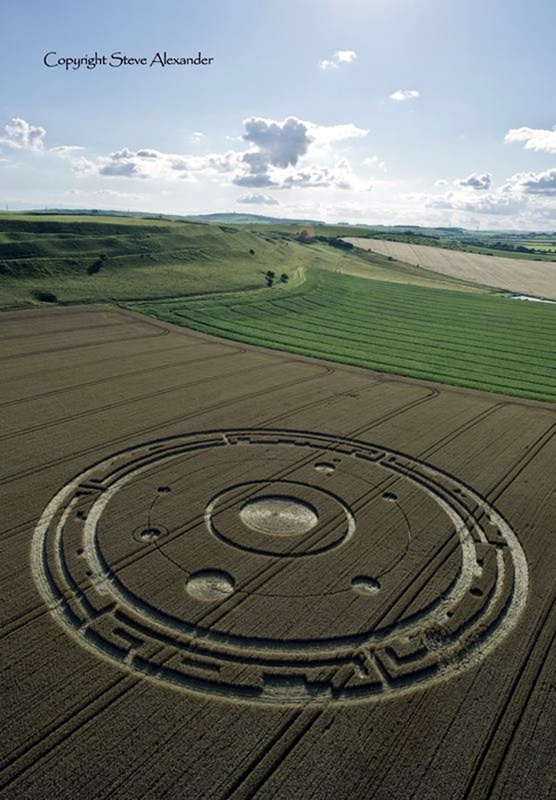 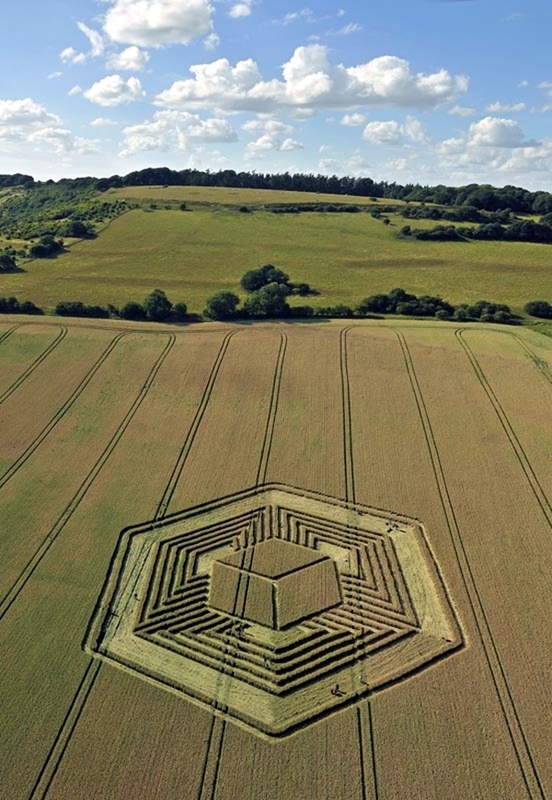 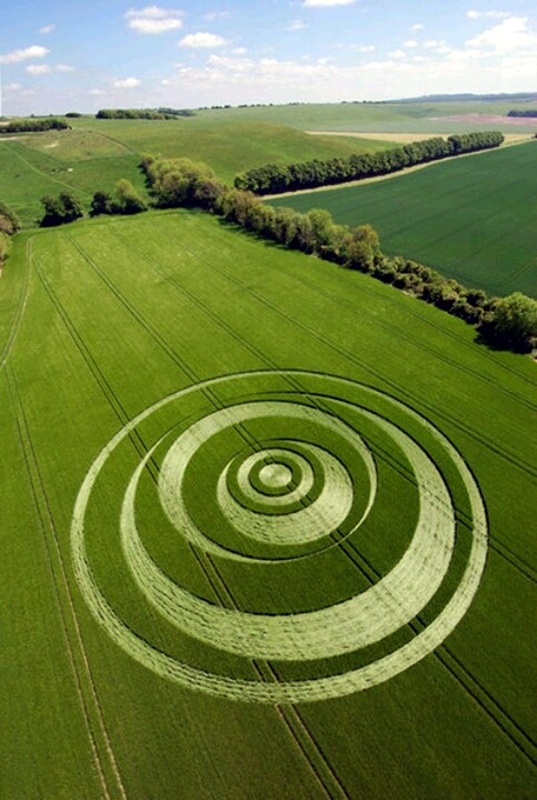 That is why it is not that surprising to know that some artists have looked at these fascinating designs that seem to say a lot without uttering a word but confuse you no end, and have been inspired to do something on the lines of crop circles. 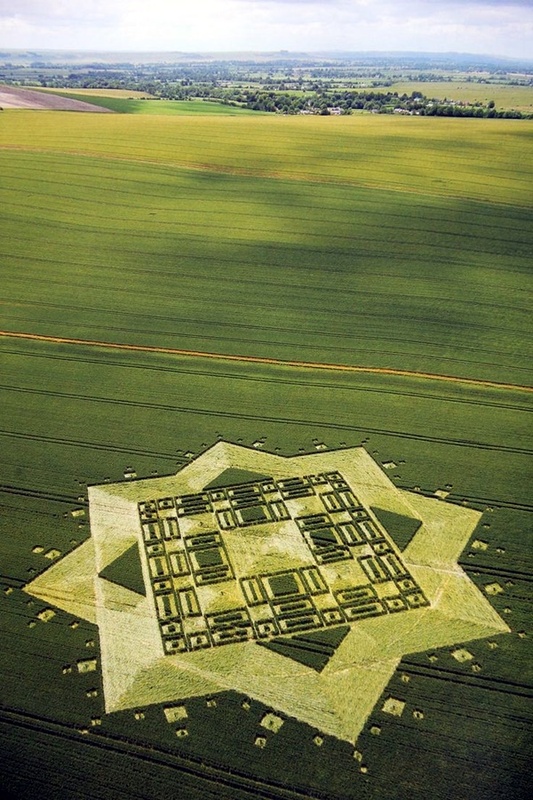 The reason that the crop circle is called that is because the pattern is created on crops – that is by flattening them. 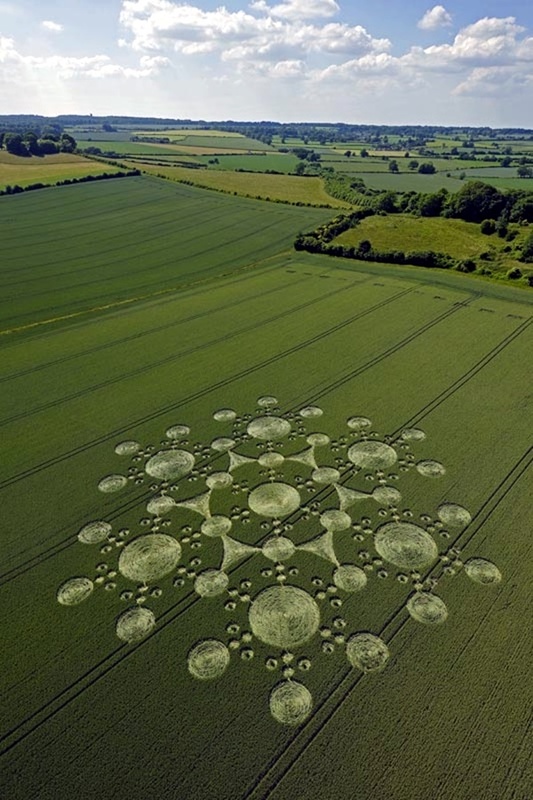 You can see that most of the designs tend to use circles though there could be more intricacy and more complex patterns to them while using circles. 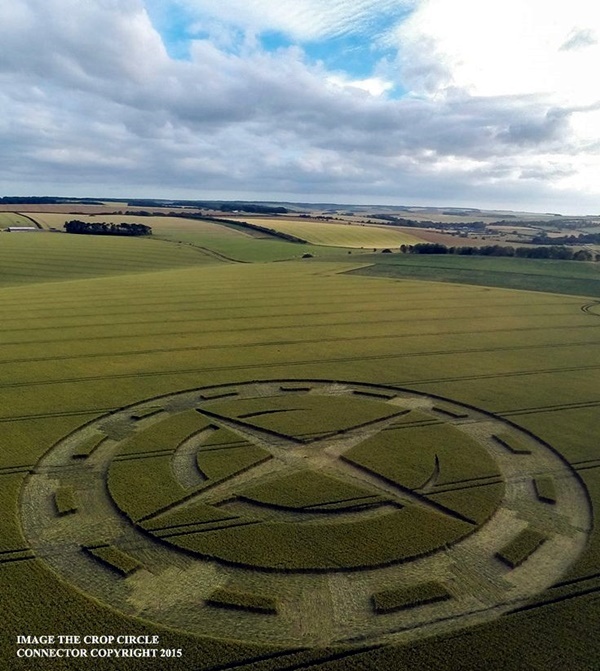 Another factor to be considered when you look at crop circles is that though you can make out some pattern has been created by looking at it from the ground level, the complete pattern does not become completely obvious unless you look at the pattern from a height. 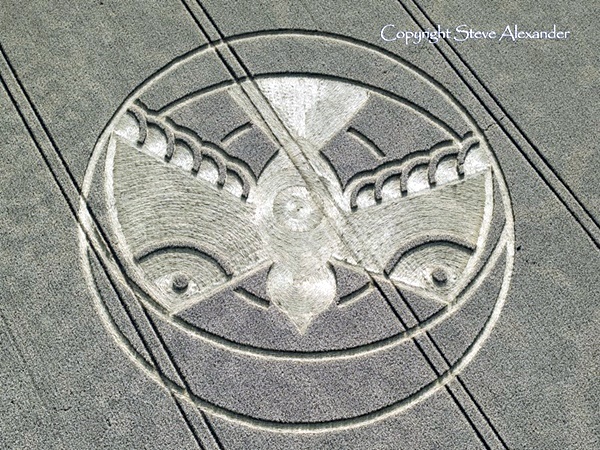 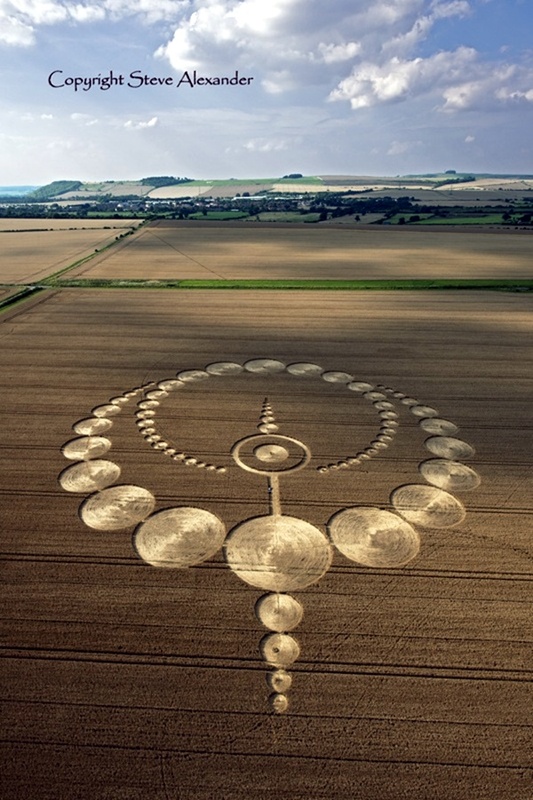 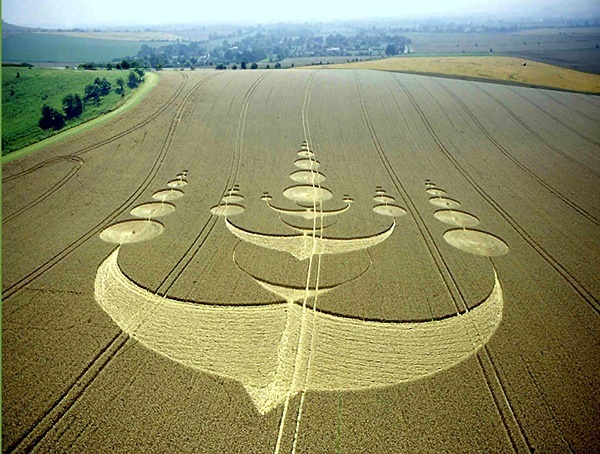 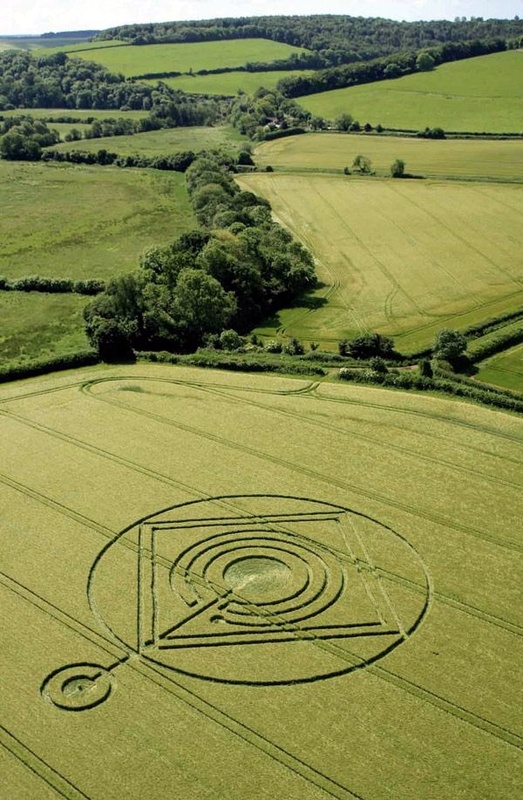 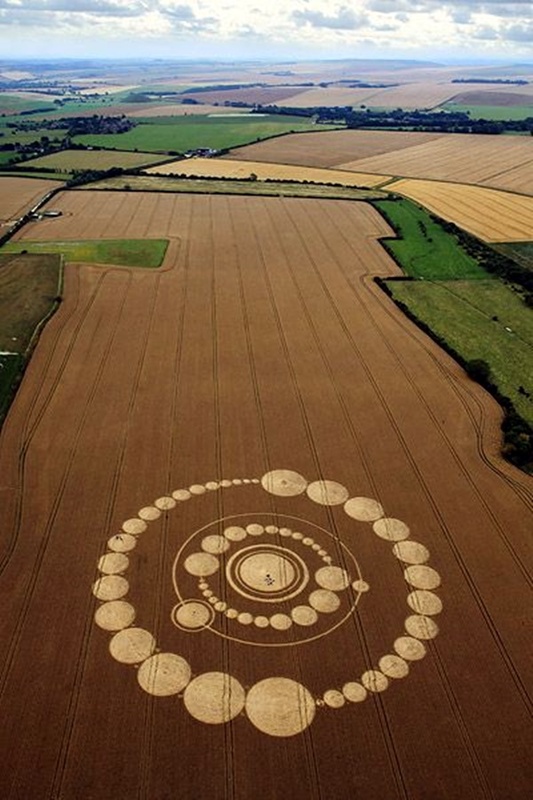 There have been many people who have been fascinated by these crop circles and what they mean. 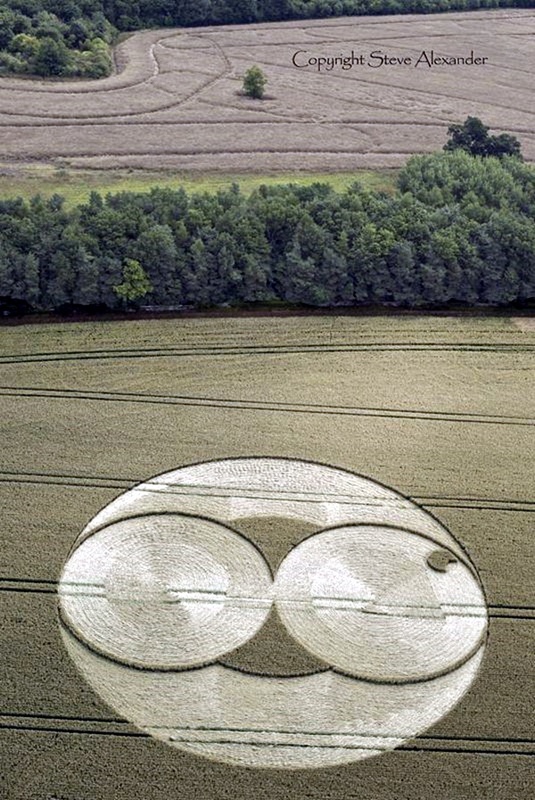 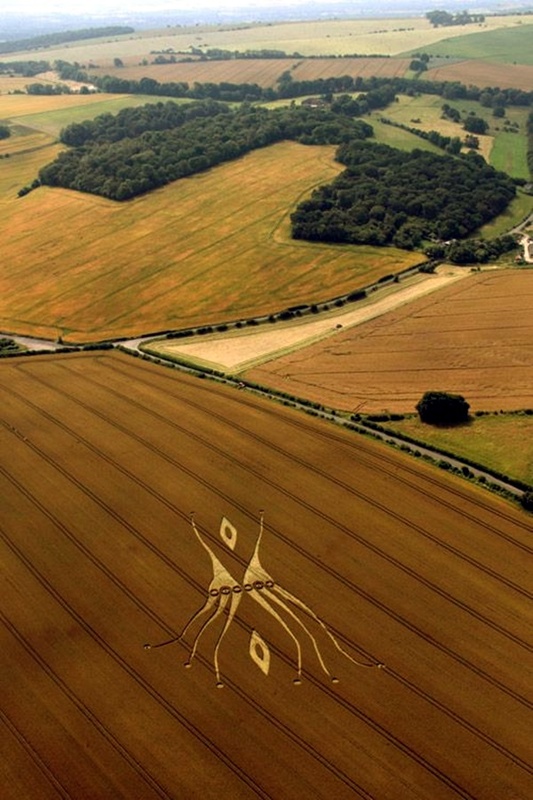 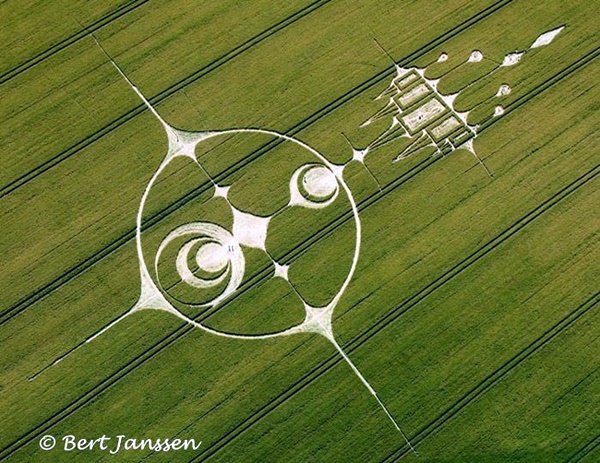 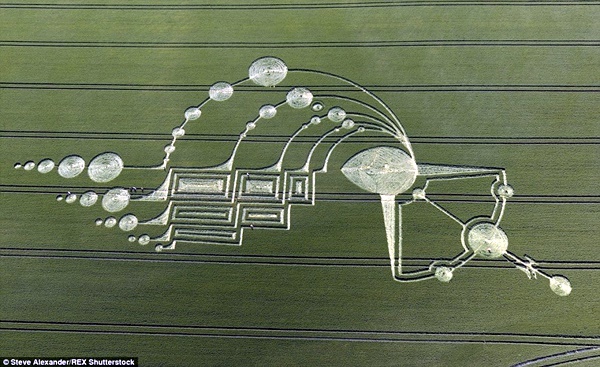 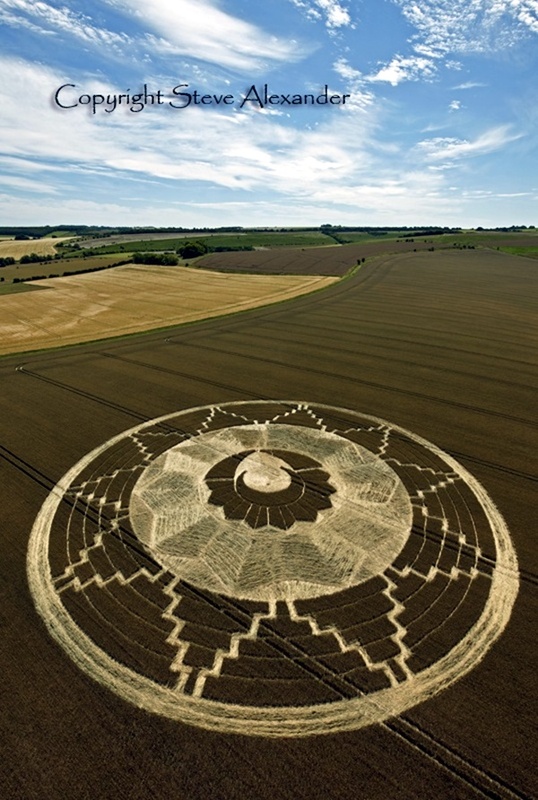 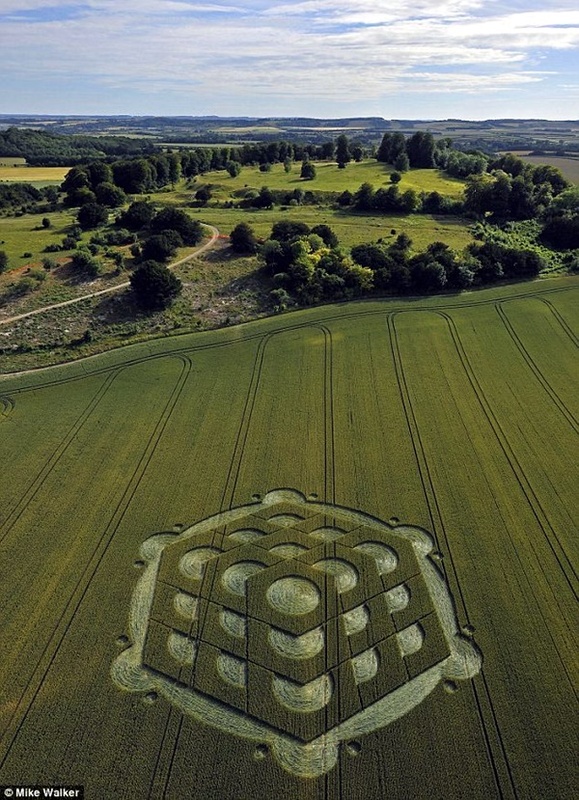 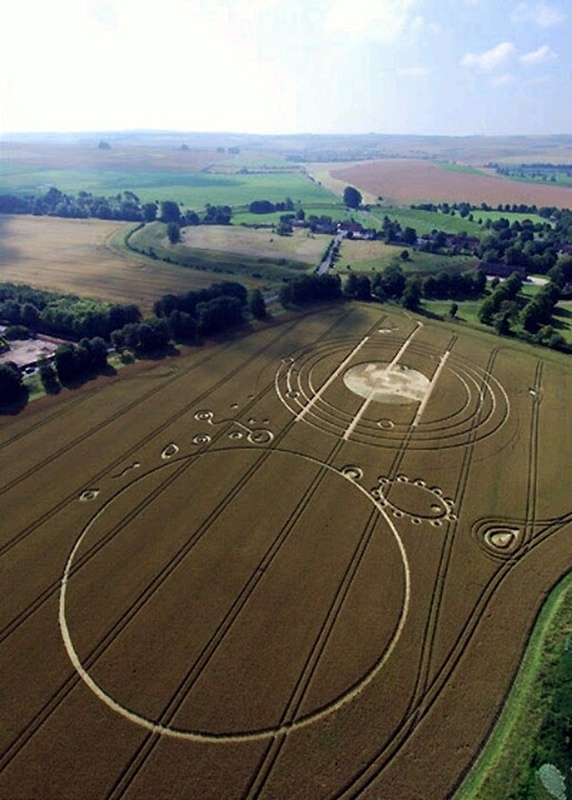 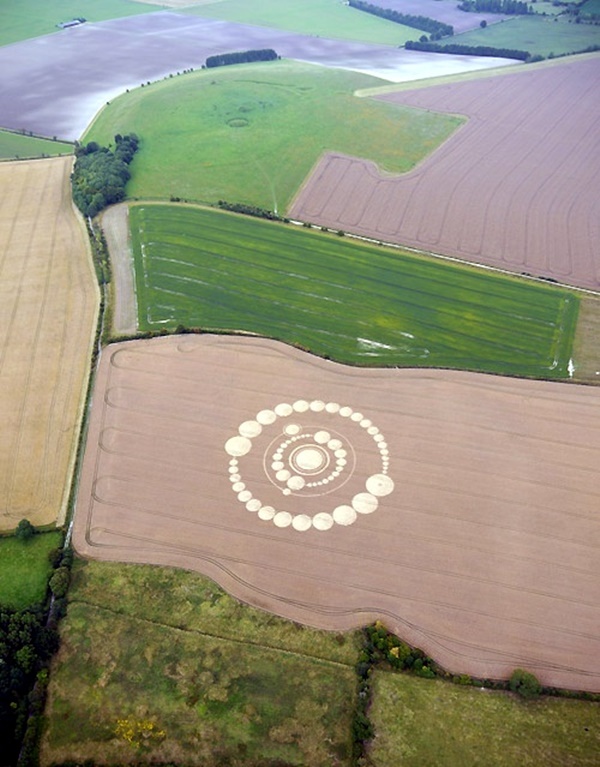 Artists have gone a step further and taken the patterns made by these crop circles and emulated them in their designs. 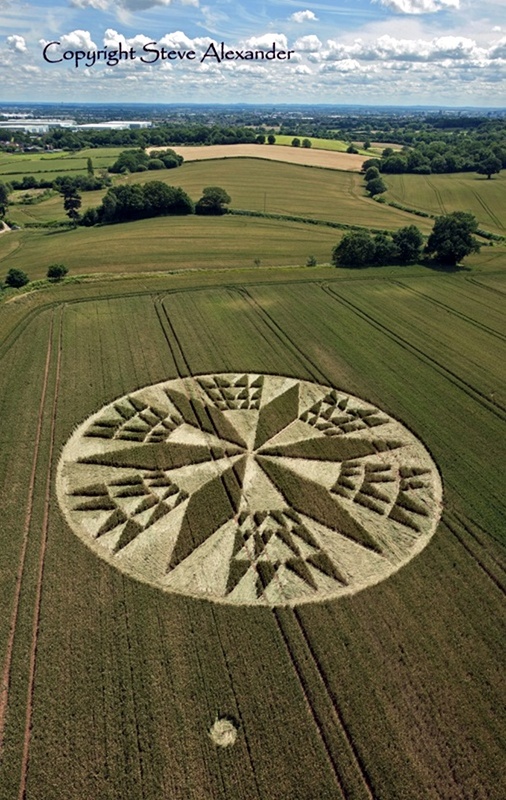 The fascinating part is that all these artists who have emulated these patterns do not use similar mediums which is why you are as likely to come across knitwear with these patterns as you are to come across jewelry. 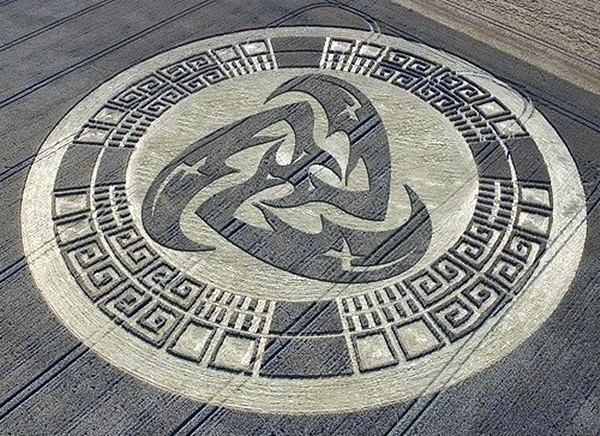 In fact, even mundane things like key chains and carpet designs have been inspired by the crop circle designs. 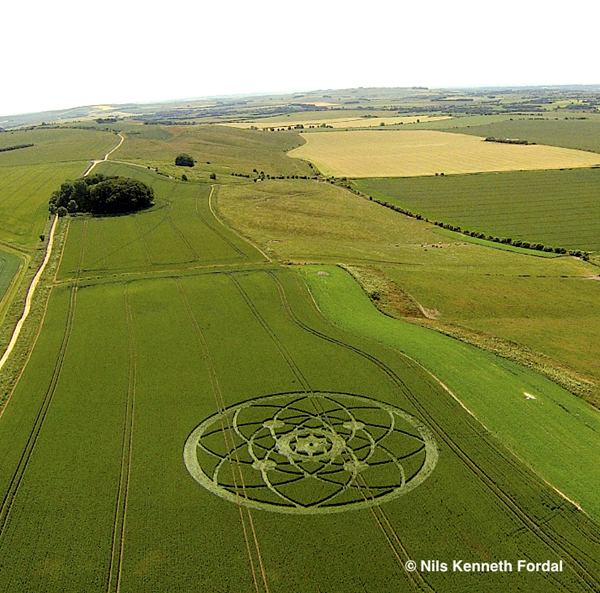 One can understand why when we look at pictures of crop circles. 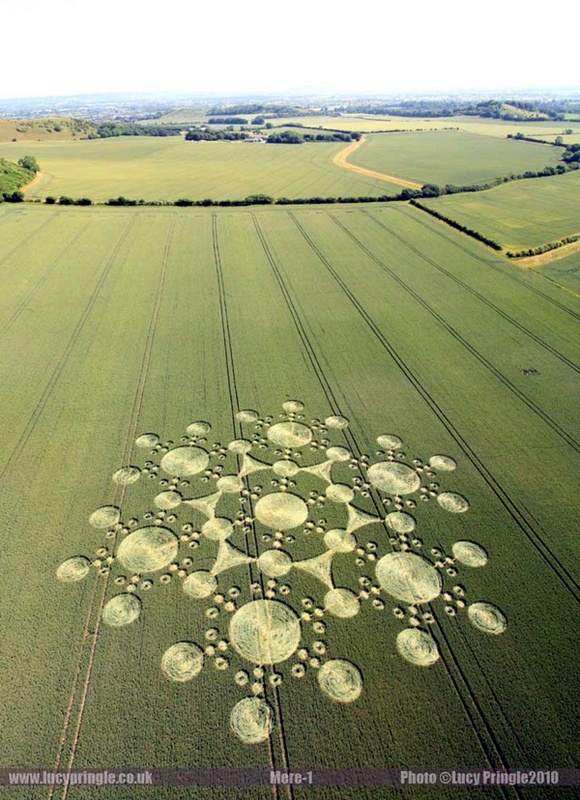 These cannot be the result of some mindless prank, as some people seem to believe. 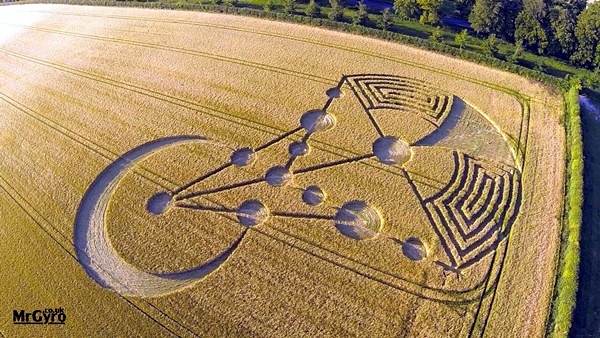 It has to have been planned and some equipment or at least lots of efforts used to make this pattern. 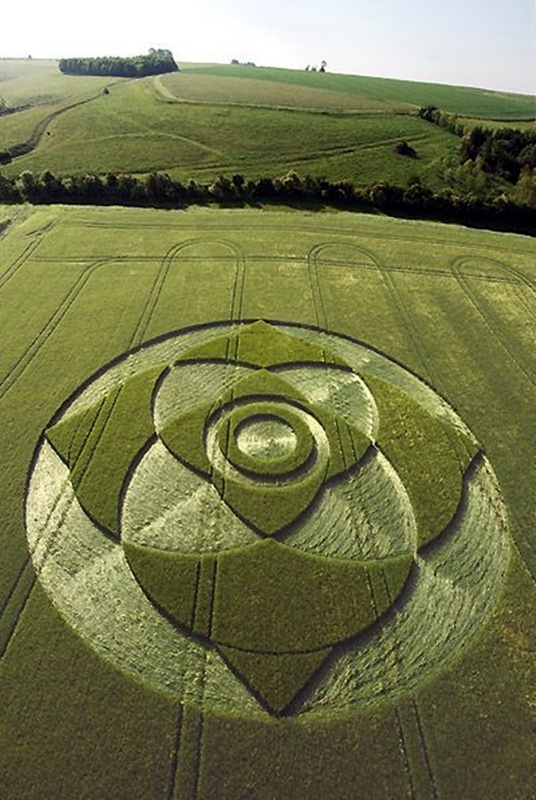 It is not as if it would be easily possible to flatten a whole field with particular patterns. 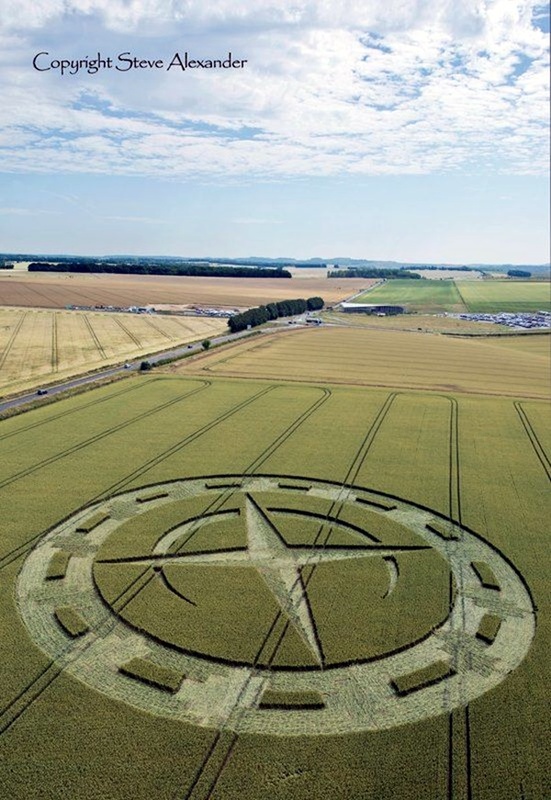 There has to be some message or thought that would have been planned when whoever or whatever planned the crop circles, had done it.